These tea lights work up quickly. Decorate your home with these pretty tea lights or give them as gifts. Stitch this tea light for a Bat or Bar Mitzvah, Hanakah or any time of the year! 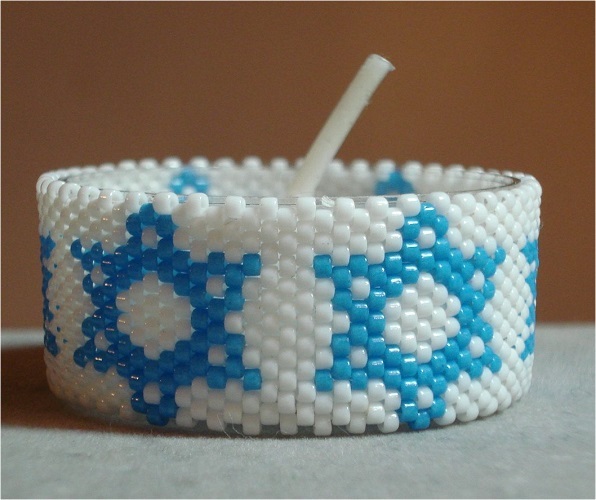 This is an adaptation of my bead crochet Star of David rope. Pattern only, knowledge of circular peyote is needed.